Optoelectronic oscillators are the subject of extensive research because of the wide variety of associated applications, which include chaos cryptography, ultrastable microwave generation, and neuromorphic computing. The wideband optoelectronic oscillator presents a particular feature allowing for two dynamical time scales to be superimposed, namely, a slow one and a fast one. 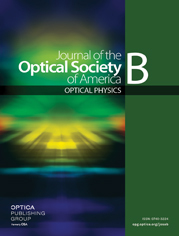 In this paper, we fully characterize the onset of the slow-scale oscillation in the wideband optoelectronic oscillator. We investigate the dynamics associated to the first Hopf bifurcation and calculate analytically both the amplitude and period of the induced limit-cycle. In particular, we show how the dynamics of the zero-delay case can be used to provide insight into the infinite-dimensional dynamics of the delayed system. Our theoretical results are in very good agreement with the experimental measurements.